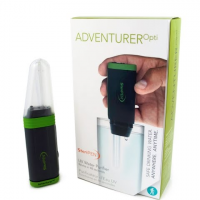 Compact and lightweight, the SteriPEN Adventurer Opti Water Purifier uses a revolutionary optical eye to sense water and purifies water in even the coldest conditions. Be prepared for emergencies and disasters with the SteriPEN American Red Cross UltraLight UV water purifier. 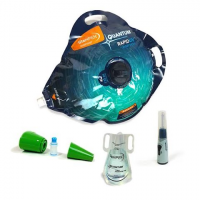 In just 90 seconds, it kills 99.9% of bacteria, protozoa and viruses in a liter of water. Trusted in the mountains and on international trips, the handheld SteriPEN Classic 3 Water Purifier with Prefilter is simple and quick to use, and it ensures your water is safe for drinking. 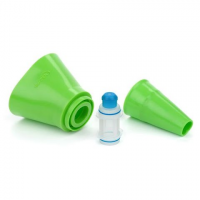 SteriPEN Replacement Cartridge (SP-RC) is designed for the Water Bottle Pre-Filter and FitsAll Filter. It filters out particulates using a 40X40 micron size nylon mesh filter. 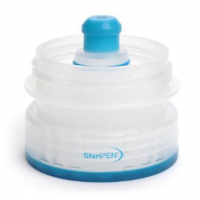 The cone-shaped SteriPEN FitsAll filter can be used to clear particulates and debris from water prior to treating it with your SteriPEN UV purifier (sold separately). Freedom lets you do more and carry less. Compact, lightweight and easy to use, Freedom fits in just as well in an exotic restaurant as on the side of a mountain. Put the power of UV light in your pocket and have safe drinking water anywhere. 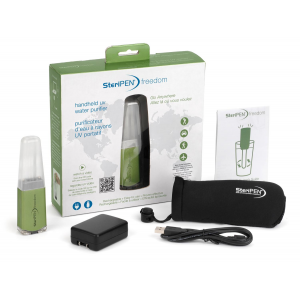 When clean water is not available use the Water Bottle Pre-Filter by SteriPEN. The Pre-Filter filters out particulates and debris. Fits on Nalgene and wide-mouth water bottles. 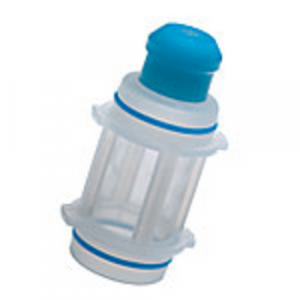 SteriPEN Replacement Cartridge for Water Bottle Pre-Filter and FitsAll Filter. Filters out particulates using a 4X4 micron size nylon mesh filter. Purify 4 liters of drinking and cooking water in only 150 seconds with the SteriPEN Quantum Rapid Pure water purifier set. It includes everything you need to get started. When you need to purify a large volume of water at once, grab an extra SteriPEN Quantum RapidUV reservoir. Use it with a Quantum purifier (sold separately) to purify 4 liters in only 150 seconds.